Oli arrives at the door of Marianne, a now-forgotten sci-fi TV icon, impatient to make an impression, to make a friend. Marianne, a jobbing actress, knows about waiting – for the phone to ring, for her best friend to see her differently, for her turn at something more substantial than a half-remembered role on a cult TV show. He wants an autograph; she doesn’t want anything from him – or so she thinks. Yet as they start to explore each other’s worlds, they begin to discover what every good relationship needs: time and space. 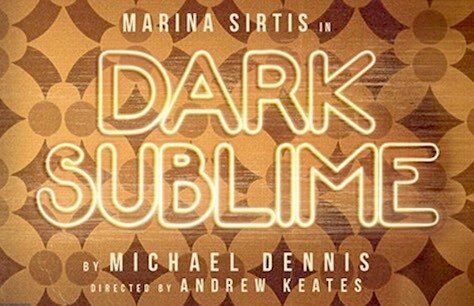 Making her West End debut, Star Trek: The Next Generation star Marina Sirtis will take the lead as Marianne in the world premiere of Dark Sublime, directed by Andrew Keates (As Is and Dessa Rose – Trafalgar Studios). Further casting, including an iconic voice of Science Fiction will be announced in 2019.